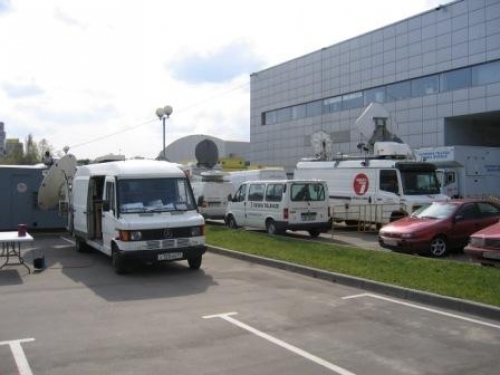 Russia: IIHF 2007 World Championship Moscow based RTL SNG is currently exclusivley transmitting for TSN Canada. SNG on the left side of the picture. 02.05.2007 Russia: IIHF 2007 World Championship Moscow based RTL SNG is currently exclusivley transmitting for TSN Canada. SNG on the left side of the picture.